You've probably heard about the Roswell landings and Area 51, but did you know about the top secret Apollo 20 mission, that was allegedly covered up by Nasa? There has been a huge furore over whether this mission actually existed, particularly on the internet, with many people discussing the mission on forums, both dissenters and believers. Join us as we look back at Apollo 20, one of the most controversial UFO cover-ups in history. Apollo 20 is said to be a top secret mission to the Moon that was covered up by Nasa. The Apollo program, also known as Project Apollo, ran from 1963 to 1972 and was the third human spaceflight project that NASA carried out. Although the US government accomplished its goal to land men on the Moon and return them safely to Earth in 1969 with Apollo 11, further missions continued until 1972, with Apollo 17 being the last mission to go to the Moon and back. However, three more missions had been planned by Nasa – Apollo 18, Apollo 19 and Apollo 20. Official Nasa records say that the missions were cancelled due to budgetary constraints and that the astronauts were moved up to other missions. Due to three missions being cancelled, lots of spacecraft hardware was left over, such as the command/service module (CSM) belonging to Apollo 19, which is on display at the Kennedy Space Center Visitor Complex and other bits of hardware have been used in several films. Apollo 20's CSM was apparently never finished and completely scrapped. If you were to believe Nasa's records, then that would be that, but in April 2007, an individual with the username "Retiredafb" uploaded several videos to YouTube claiming that they were footage from Apollo 20, a secret joint American-Soviet space mission from August 1976. The user identified himself as William Rutledge, 78, a former astronaut now living in Rwanda. His videos show what seems to be the cabin of Apollo 20, as well as footage, supposedly on the moon, of a mysterious lunar city, as well as the corpse of what seems to be an alien girl that internet users call "Mona Lisa", lying in the cabin. Rutledge's videos were so popular that they garnered over 1.5 million views on YouTube, but apparently a few months later Rutledge claimed his YouTube account had been hacked and all but one of his videos were deleted (although you can watch the other two videos about the lunar city and the alien autopsy). He then moved his videos to a new account on Revver.com, but that page no longer exists. Before he disappeared, however, he did agree to be interviewed, through the message function of his YouTube account and Yahoo Messenger, by Italian freelance writer and UFO/space exploration enthusiast Luca Scantamburlo. 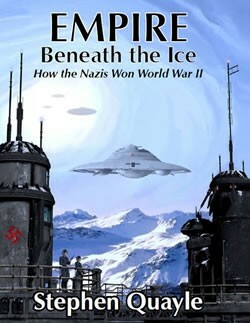 Rutledge claims in his interview with Scantamburlo that Nasa's Apollo 14 mission flew over a polar region of the Moon and captured numerous space ships and cities of ancient, oddly-shaped, towering buildings, which looked like they had been abandoned for hundreds of years. Rutledge says that Apollo 20 landed near the Delporte Crater in order to explore a large "cigar-shaped" mother ship, which had apparently been abandoned for 1.5 million years, and within the spaceship, the astronauts found two corpses of alien beings, one of which was captured on 16mm film. 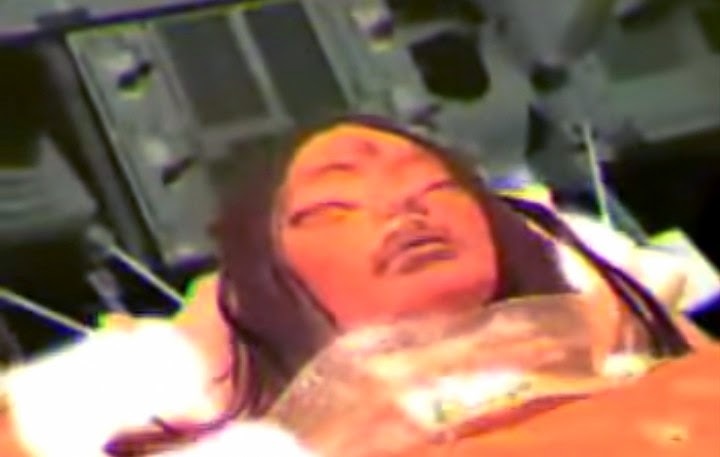 He claims that the female alien he and his crew found had six fingers, hair, but no nostrils, and seemed to be in a state that was "not dead" but also "not alive". He claims to Scantamburlo that the alien girl was brought back to Earth and is still alive somewhere. "USAF recalled that, I have been chosen later for Apollo 20 because I was one of the rare pilot who didn't believe in God (it has changed since 1990) but it was a criterion in 1976. It was not the status of the Nasa astronauts. Not believing in God made the difference. That's all," Rutledge told Scantamburlo. Rutledge's answers are quite rambling, and on many occasions, Scantamburlo tests his knowledge about Nasa in the 1970s and what happened to the other cancelled Apollo missions.